EOTech's 2.5-10x44 Vudu Precision Riflescope is an ideal choice for midrange precision target acquisition. The optical system features bright and clear XC High-Density glass treated with broadband anti-reflection multi-coatings to deliver bright, clear, low-distortion, and high-contrast images. The 44mm objective aperture fills the niche for gathering enough light in most lighting conditions like at dusk or dawn, even where standard apertures fail. 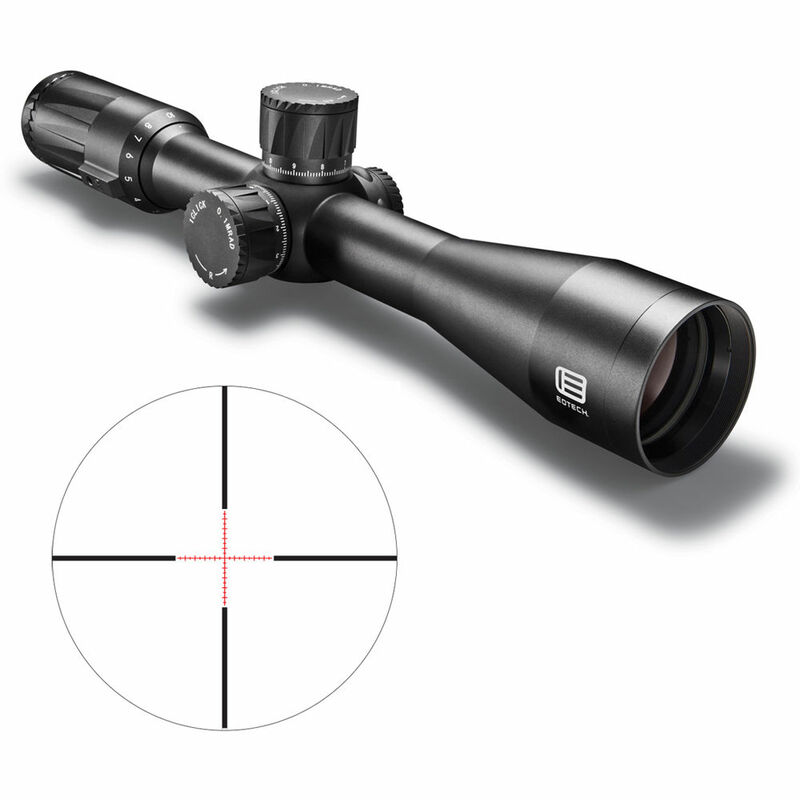 At the core of this riflescope, is the first focal plane H59-MRAD reticle, which features four medium posts and an illuminated milling crosshair. The lightweight and durable aluminum housing is coated with a Type III hard anodized finish and features a 30mm single-piece maintube, finger-operated graduated turrets, and a precision fast-focus eyepiece. To provide traction for ease of adjustment, all the knobs and rings are knurled. Also included with this optic are a pair of lens covers and a CR-2032 battery. Long eye relief of 4.1 - 3.5"